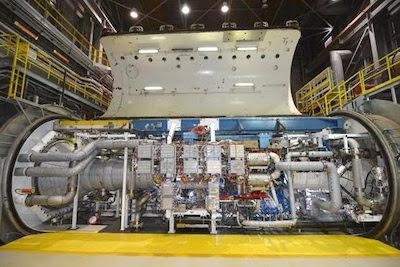 The Arnold Engineering Development Complex (AEDC) J-1 engine test cell at Arnold Air Force Base has reached is 60th year providing altitude testing for medium and large turbine engines. The J-1 test cell is capable of simulating altitudes up to 75,000 feet and testing up to Mach 3.2. The cell provides engine inlet temperatures up to 720 degrees Fahrenheit. Its first operational run took place in January 1959 in support of RJ47 ramjet engine development. The next engine to be tested was the Bomarc RJ43 ramjet. The RJ43 and its variants were used on the CIM-10 Bomarc missile, the D-21 drone, and the AQM-60 Kingfisher, a target drone version of the U.S. Air Force X-7. The engines were engineered and built by the Marquardt Corporation. After testing the ramjet engines, the next decade saw J-1 test a wide range of non-ramjet engines. 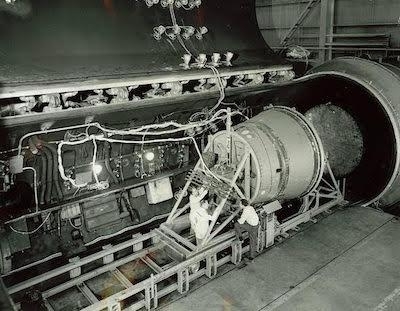 This included testing of the Pratt & Whitney TF33 turbofan engine that powers the B52H. During the first decade J-1 was the first test cell to ever test a High Bypass turbofan engine: the General Electric TF39 that powers the C-5 Galaxy. Another first was accomplished during the TF39 testing when an icing system was installed to evaluate the effect of ice accumulation on the engine during operation. During the 1960s, J-1 also provided testing for space systems. A full-scale Gemini abort system was checked in J-1 in 1963 and helped determine a solution for retrorocket failures during a launch abort. The J-1 test crew continued to demonstrate flexibility and innovation at the beginning of the 1970s. An inlet simulator was developed to represent the complex flow of the F-15 inlet at supersonic speeds. A Pratt & Whitney F100 was attached to the 40-ton inlet simulator to perform test to help eliminate engine/airframe compatibility problems. Over the years, J-1 has tested the F100 for the F-15 Eagle and F-16 Fighting Falcon; the F110 for the F-16 Fighting Falcon; the F118 for the B-2 Spirit and U-2; the F101 for the B-1B; and performed core testing on the Advanced Turbine Engine Gas Generator. J-1 was also used to test the Rolls Royce Pegasus engine that powers the AV-8B Harrier Short Take-off/Vertical Landing (STOVL) aircraft as well as testing of the Tomahawk cruise missile. In 2006, the F118-GE-100 engine for the B-2 Spirit was tested in J-1 as part of the General Electric’s Service Life Extension Program, which was part of the Air Force Component Improvement Program to replace several components of the F118, F110 and F101 engines with a common core system. The F118 underwent altitude performance tests to ensure that the new engine components matched the required performance for the B-2. The tests concluded with about 90 hours of run time. Despite extensive use during a long period of operation, J-1 continues to demonstrate its unique capability to test the most advanced aeropropulsion system. This was proven recently when a series of test on the Pratt & Whitney Adaptive Engine Technology Demonstrator engine core was completed in J-1. The success of this test program proves the value of J-1 to support DOD test programs for many more decades to come. 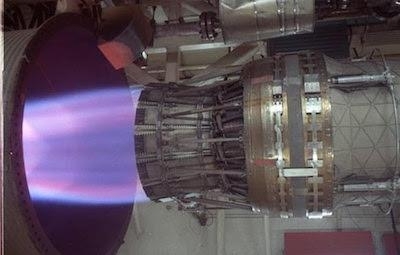 Garay added that J-1 has also served as a primary testbed for developing new engine “cores.” “This requires the facility to replicate much more harsh pressure and temperature conditions for the heart and soul of each turbine engine generation,” he said. “Perhaps more humbling than the facility itself are the folks who, like our early aerospace propulsion engineers, designed such a test facility with slide rules and good old-fashioned paper drawings. They did such an incredible job foreseeing future capability that we only now have started to reach the edge of the J-1 test cell’s capabilities with our powerful fifth generation F-35 (F135) engines.